Blackburn Rovers return to Ewood Park to take on high flying Derby County, with the hope of breaking their winless run. Rovers come into the match on the back of a 0-1 loss to Stoke City. Derby on the other hand come into the match off the back of a thrilling 3-3 draw against Brentford. In this video I preview the match, look at the form books and get a prediction from the Cat. Also joining me this week is Chris Parson’s from the Steve Bloomers Washing podcast, we talk all things Derby County. Blackburn Rovers return to Ewood Park but could not break the air tight Stoke defense and ultimately losing 0-1. Etebo the only scorer on the day with a crisp strike that broke the Rovers defense. It could have been much worse for Rovers as Stoke were given a penalty which was saved by David Raya between the sticks. Raya also came to Rovers rescue in the 2nd half and delivered a wonder save to deny ex Burnley man Sam Volkes a goal. Rovers created little and look lost at sea the moment. The season can not end quick enough for Rovers who will need to work extra hard in the summer to turn this team into something that can compete in this league. Later on the channel, I will take a detailed look at the match, hear what the gaffa had to say, take a look at Rovers fans input on social media and more. 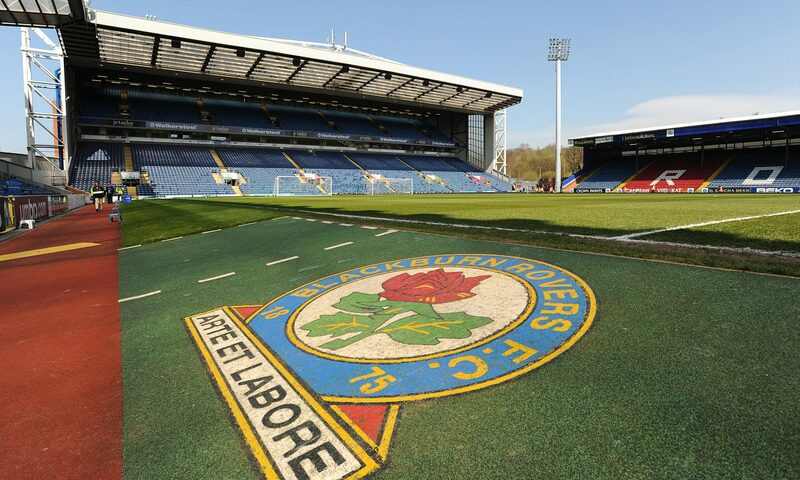 Blackburn Rovers return to Ewood Park to take on Stoke City this weekend. Both teams seemed to be destined for Championship football next season, but who can finish their season off stronger? Stoke come into this match fresh of the back of 4 scoreless draws. Whereas Rovers come into the match off the back of a 2-1 loss to Aston Villa. In this video I speak with David Cowlishaw from the Wizards of Drivel podcast who gives me a quick recap of the Stoke City season, their chances this weekend and more. We also get a prediction from the cat and take a look at the Championship form table. Blackburn Rovers returned to Sky Bet Championship football with a 2-1 defeat to Aston Villa at Villa Park. Goals from Tammy Abraham and Tyrone Mings gave Villa a two goal lead. Rovers had to turn to Amari Bell to provide any hope as Blackburn pushed for an equalizer. The win continues a torrid spell for Rovers as their season draws to a close. Where as Villa will hope this win edges them closer to securing a playoff spot. In this video we hear from Dan Collins (@DCSparkyDC) get his verdict on the match. The gaffa also gives his opinion, plus match stats, feedback and more. Next up for Rovers will be a home match against Stoke City, whereas Aston Villa take on Steve Bruce’s Sheffield Wednesday. Aston Villa: Steer, Taylor, Whelan, McGinn, Grealish (c) (Hourihane, 87), Abraham, Green (Adomah, 65), El Ghazi, Elmohamady, Hause, Mings. Unused substitutes: Sarkic, Tuanzebe, Jedinak, Davis, Kodjia. Rovers: Raya, Nyambe, Lenihan, Mulgrew (c), Bell, Travis, Bennett (Reed, 60), Conway, Dack (Rothwell, 66), Armstrong, Graham (Brereton, 66). Unused substitutes: Leutwiler, Williams, Rodwell, Smallwood. Cass the Cat returns once again to predict the outcome of each and every Blackburn Rovers match as they return to the EFL Championship. In this video Cass attempts to predict the outcome of the opening league match between Aston Villa vs Blackburn Rovers. Blackburn Rovers return to Sky Bet Championship action with a trip to Villa Park to take on Dean Smith’s Aston Villa. Rovers head into the match on the back of a defeat to Sheffield Wednesday. Whereas the hosts Aston Villa come into the match on the back of a 3-0 win over fellow playoff chasing Middlesbrough. Blackburn will hope to see some fresh faces return on Saturday with Mulgrew, Rodwell and Lenihan all on the fringes of a return. In this video I speak with Aston Villa fan Dan Collins about their season, their chances and much more. I also take a look at the form book, predict the line up and we see what Cass the Cat thinks will happen. Blackburn Rovers slipped to another away defeat at the hands of a revamped Sheffield Wednesday. The final score being a mouthwatering 4-2 win for the Owls. Plenty of action within the match which could have seen many more goals, Sheff Wed hit the post in the first half before taking the lead though Steve Fletcher. Rovers on the other hand relied on goals from Craig Conway and Elliott Bennett however it was not enough to get anything out of this entertaining defeat. A bit of break in the Championship comes at a good time for all, especially Rovers as we hope to see some defensive players return from injury in two weeks time. Another positive was the Rovers debut of youngster John Buckley, many more appearances in a Rovers shirt please Gaffa! Blackburn Rovers head back out on the road to take on in form Sheffield Wednesday. Rovers come into this match fresh off the back of a comfortable home win against Wigan Athletic. Steve Bruce’s Sheffield Wednesday come into this match in fine form, most recently beating Bolton Wanderers at the Macron Stadium. In this video I preview the match, take a look at what the fans have to say and we get a prediction from the Cat. In this video Cass attempts to predict the outcome of the opening league match between Sheffield Wednesday vs Blackburn Rovers. Blackburn Rovers returned to winning ways with a comfortable 3-0 win over relegation strugglers Wigan Athletic to end their winless streak. Rovers broke the deadlock midway through the first half via a Danny Graham penalty. Graham added to both his and Rovers tally thanks to some horrific Wigan Athletic defending. The third goal came via Bradley Dack and yet another disaster by the Wigan defense, one of the scrappiest goals you will ever see. Those goals saw Rovers over the line and 3 valuable points. The game also saw the debut of young defender Tyler Magliore who is proud to walk away with a clean sheet.